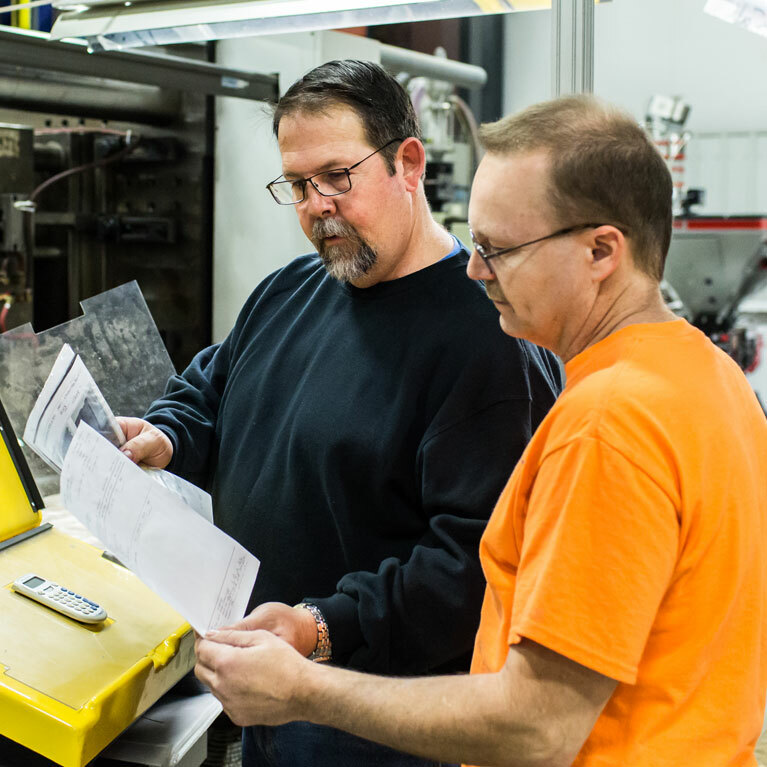 At the helm of Mac Molding you’ll find Lance Loeffelman Sr. With over almost 40 years working in the injection molding business and a “never give up” attitude, Lance Sr. is affectionately referred to as the “Mold Whisperer” for his ability to coax good parts out of almost any mold. As a hands-on owner, Lance still loves the challenge of tweaking the cycle time, temperature and pressure ever so slightly to get the best possible parts. Lance Sr. enjoys sharing the knowledge he’s gathered over the decades with the press operators so they too can produce high-quality parts on every run. Lance Loeffelman Jr. officially joined his father at Mac Molding in 1994, although he’s been around injection molding for as long as he can remember. Lance Junior brings an element of structure to the family business and is the mastermind behind many of the processes that ensure the same high quality standards are met with every batch of parts Mac Molding produces.